Who doesn’t know about Dropbox? Maybe, only those who never used the Internet. Also, those who don’t have email or Facebook and never received any invites to join Dropbox (which is quite impossible). Not many can compete with Dropbox in terms of its convenience as a cloud storage for all sorts of files - documents, movies, music, etc. It’s free to use if 2GB storage is enough for you. But for the experienced audiophile 2GB is worth about 20 songs in Hi-Res quality. This can’t even make a worthy playlist. VOX Cloud turns out to be a worthy rival of Dropbox as the solution designed specifically for music. Dropbox capacity depends on your budget. 2GB are given to you free of charge from the very beginning. You can upgrade to Dropbox Pro which is 1TB worth of. That is the maximum, though. VOX Cloud (previously called LOOP) stores the UNLIMITED amount of music. Hence, you get much more than even 1TB! It can be 250,000 songs or 2,500,000 full quality FLAC songs and even MORE, there is no edge for the true audiophile’s music in cloud. Dropbox accepts all file formats. We mean not only all types of music files, but ALL possible files, Word document or MP4 video. That is good, by no means. However, an audiophile interested in keeping music in cloud has no way to listen to it through cloud directly. There is no player (so far) connected to Dropbox that streams music from the cloud directly to the headphones or speakers. Dropbox works like a mirror. Whatever files you upload into it, that’s what you’ll be able to download later in the exact same quality. VOX also gives what it gets. It matches only the songs of the original quality. So, FLACs stay FLACs. As we mentioned above, Dropbox basic version is free, but there is a Pro version that costs $9.99/month or $99.99/year. This will provide you with 1TB of storage. Free 500MB of additional storage can be gained by inviting friends to start using Dropbox. That can be done only till you rich 16GB, though. VOX Premium with cloud features provides UNLIMITED storage during a variety of subscription plans with the same unlimited storage: $89.99 two-year subscription price, $49.99 annual subscription price, $4.99 monthly price. Dropbox runs on Windows, Mac OS X, and Linux operating systems. VOX Player works on OS X and iOS. While using cloud for streaming music through VOX Music Player for Mac, it is possible to connect to Sonos audio devices. Android and Windows support is to launch later on this year. To use Dropbox one must have Dropbox account. Just that. To use VOX Premium with advanced audio features, you have to sign up for VOX account, then download VOX Player for Mac and VOX Player for iPhone to sync music between them and listen to it freely on these devices.. There are no limits to the number of devices you can link to your Dropbox account. VOX erases the limits too. If you’re a music recording studio, and you have, say, 6 Macs, 2 Apple Watches and 11 iPhones, how do you get access to the same music on all of them? VOX Cloud can be the easiest solution. In the end of this feature battle, we want to mention some great perks VOX Premium can provide. a lot of premium audio features. 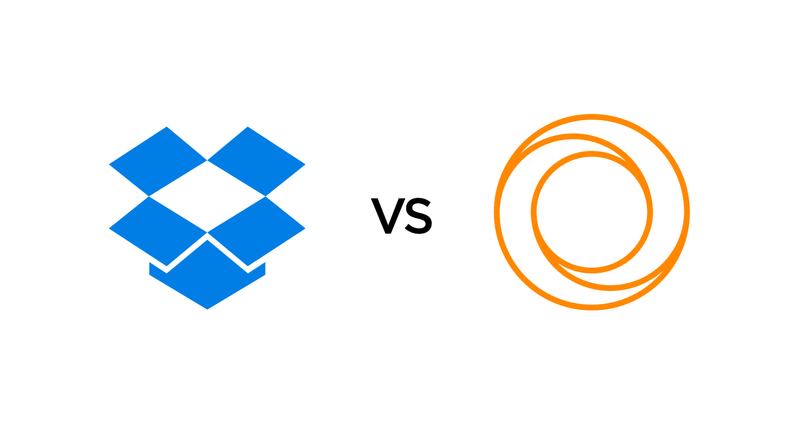 What to choose - VOX Cloud or Dropbox - the decision is up to you.